Motel 6 caved. Update to this story. 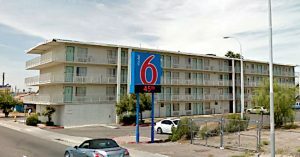 Motel 6 announced it will stop sending customer lists to Immigration and Customs Enforcement (ICE) on Wednesday after its corporate office was made aware of the practice at some locations. In a statement to the newspaper, ICE refused to confirm the reports or how the agency gathers tips for its investigations. “I wouldn’t be able to confirm how we are getting our information. Those are investigative techniques that we wouldn’t be able to talk about,” ICE spokeswoman Yasmeen Pitts O’Keefe said.